The overall size or footprint of a bouncer is the biggest influence on cost. The larger the bounce house, the more expensive it tends to be. Smaller models, like those used for indoor events or small backyard parties, have an average exterior footprint of 13 feet by 13 feet. These smaller models range in price from just over $1000 to about $1300. Larger bouncer models, such as double-width models, may have a footprint exceeding 20 feet by 22 feet or even more. Of course, these larger models cost more, with averages between $1700 and $2100. 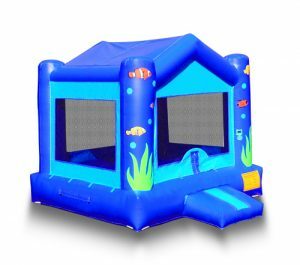 The features a bounce house has also influence the purchase price. Some models have extensive decorative items, interior play fixtures like inflatable basketball hoops, or printed details. These models tend to be more complex than their more basic counterparts, and prices go up accordingly. Some of the largest and most decorative models may run to $2200 or more. Styling is the final influence, and this factor is how the inflatable looks. Basic modular bouncers may have a flat or peaked roof, while more complex models may be styled to look like fairytale castles, sports arenas, or even pirate ships. Again, the average cost for the more stylish models can vary; in general, the purchase price is between $1500 and $2000. For inflatables rental business operators who want to expand their product inventory, sales can be a great way to add models to the roster. Some of the most experienced bounce house manufacturers offer special deals, including seasonal sales and quick-ship pricing. There may even be wholesale pricing for larger multi-unit orders. These deals can help business owners and organizations save 10%-20% or even more on costs. Speak to your trusted bouncer manufacturer today to learn more about special pricing.